Alfred Kipketer restored Kenya’s dominance in the 800m with an impressive 1:43.95, the second-fastest time in the history of the IAAF World Junior Championships. 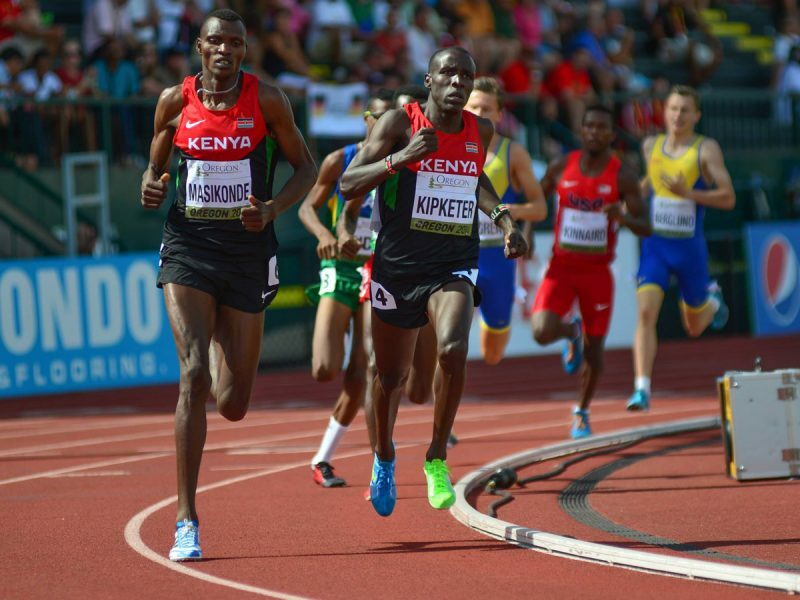 Alfred Kipketer led his countryman Joshua Tiampati Masikonde to the third Kenyan 1-2 in the men’s 800m in the history of the competition at the 2014 IAAF World Junior Championships - Oregon 2014. The Kenyan duo set a blistering pace from the start, covering the first 200m in 23.59 and the first lap in 49.42, about five meters ahead of the rest of the field. 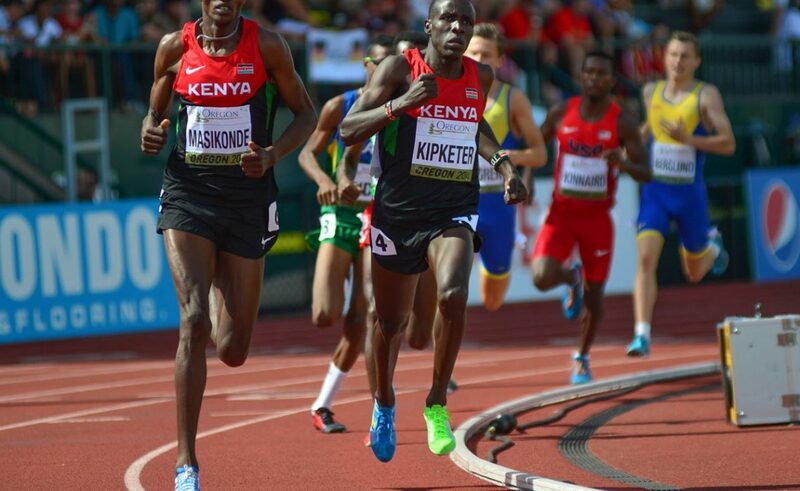 After the 600m mark, covered in 1:16.51, Kipketer started to move away from Masikonde and went on to win in 1:43.95, close to the championship record of 1:43.79, set by Botswana’s Nijel Amos in 2012. Kipketer’s time moved him to the ninth on the world junior all-time list. Masikonde held on to secure silver in a personal best of 1:45.14 ahead of fast-finishing Andreas Almgren, who set a Swedish junior record of 1:45.65 to take bronze. Athletes who finished fourth to seven also improved their personal bests, including fourth placer Brazil’s Thiago Andre, the same position he achieved in the 1500m. Seventeen-year-old Kipketer added his gold in Eugene to the world youth title from last year. He was part of the winning 4x800m Kenyan squad at the IAAF World Relays in Nassau and became the ninth Kenyan man to win the global junior gold in the distance. Only five other athletes have run faster than him at Hayward Field.